A text available on gloria.tv aptly analyses certain consequences of the granting of an ordinary jurisdiction to the Society of St. Pius X by Pope Francis for the duration of the “Holy Year”. We quote here some extracts from it. 5) The forms of the concession are atypical: the jurisdiction is awarded to priests of the Society according to an unusual procedure, moreover it is very limited and temporary in nature. The act of September 1st 2015 is nevertheless a “canonical normalization” in the sense of the decision of the Chapter of July 2012, which did not make any distinctions between partial, complete, unilateral, consensual, temporary or final normalization etc… Furthermore, the six “preconditions” imposed by this Chapter no longer have any reason to exist now that the papal measure has been accepted by the Superior General. 7) Last autumn, the risks of this process could not have eluded the General Council of Menzingen, thus making even more imperative the meeting of the Chapter foreseen in the communiqué of July 14th 2012. And yet the Superior General did not convene this extraordinary Chapter. So the procedure for authorization instituted by the supreme authority of the Society with the aim of its protection was not applied: and the reason for this omission has not been given. 8) Having accepted alone and without the authorization of the Chapter this preliminary act of the Pope, will Mgr. Fellay be able to oppose the complementary normalization measures already envisaged (cf. 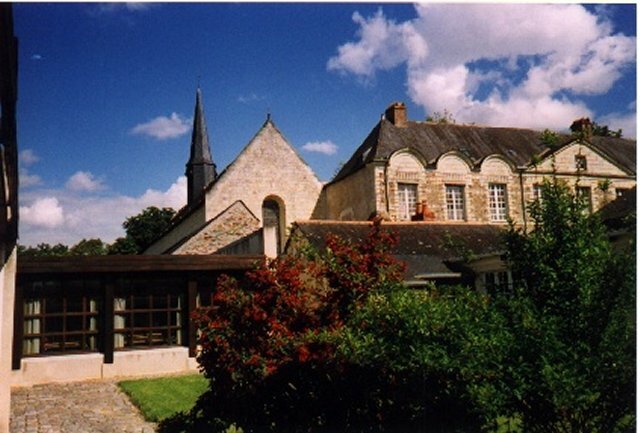 his sermon at the French pilgrimage of Le Puy on April 10th, 2016) or a more complete canonical recognition? Will he be able to refuse to ratify the “fundamental accord” on “the value of the Council”, as the pope requires for the erection of a personal prelature for the Society (cf. interview in the French newspaper La Croix of May 16th). On considering the evolution of events, we are not able to affirm this. 9) The desire to remedy a canonical situation deemed “irregular” has led the Society to defer endlessly decisive confrontation on doctrine. Not having demanded Rome’s renunciation of conciliar errors before consenting to receive the ordinary jurisdiction granted by the act of September 1st, the Society has fallen into a trap: it will not be able to invoke the state of necessity and take, if necessary, without the agreement of the authorities, the measures needed to safeguard the faith and the priesthood, put in danger by Vatican II and its reforms. 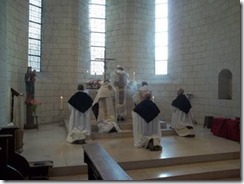 The Consecration at a Solemn Dominican High Mass. The above citation from Saint Teresa of Avila’s work, The Way of Perfection, well describes Saint Dominic’s motives in founding the Order of Friar Preachers. Religious life is distinguished as belonging to two categories. The first category consists of contemplative religious who continue the role of Saint Mary Madeleine “seated at the feet of Jesus to listen to His words,” loving Him exclusively. The second category consists of active religious who continue the role of Saint Martha, drawing out of their love of God the zeal to serve their fellow men, in whom they serve Jesus Himself. However, Dominican life does not belong to either category. 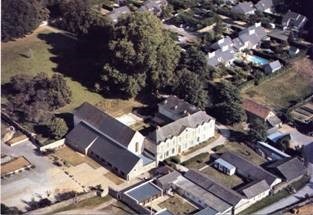 Our friary some years ago before the fourth wing and a bell tower were built. In fact, Saint Dominic aspired to the apostolic life – the form of life of the Apostles themselves – in which the priests and religious would be “entirely consecrated to prayer and to the preaching of the Gospel” (Acts 6:4). 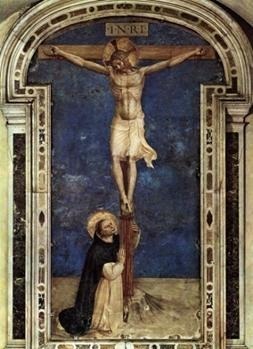 Saint Thomas Aquinas, the most eminent son of Saint Dominic, summarized the apostolic life and spirit of the Order by the famous expression, “Contemplari, et contemplata aliis tradere – to contemplate and to give to others the fruits of one’s contemplation” (II-II, q.188, a.6). Consequently, the friar preacher is neither a pure contemplative, nor a pure active – supposing that these two categories could exist in a pure state. Rather, Dominican life is a mixed life, which is not merely adding exterior action to contemplation. On one hand, after spending several hours at chapel, the hospital Sister, animated by the love of God, spends the rest of her day caring for the sick, yet her religious life remains active. On the other hand, for apostolic Orders, such as the Dominicans, the exterior action of preaching is the direct continuation of contemplation. 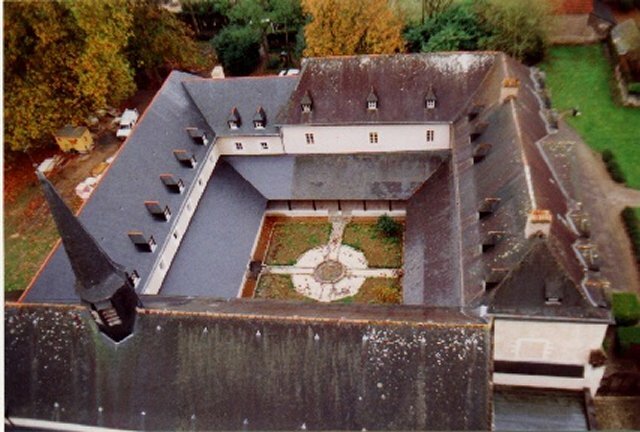 Thus, the hospital Sister cares for the sick using medicine and bandages – and not what she had contemplated in prayer – whereas the friar preacher imparts to souls the truths and lights received from contemplation. In fact, the Dominican has the obligation to “shout from the housetops what he has heard in his ears” (Mt. 10:27). Hence, the contemplation and exterior action of a Dominican are well united: firstly, due to the motive, which is divine charity; and secondly, due to the content: “the words which Thou gavest me, I have given to them” (John 17:8). Consequently, the Dominican preacher must be able to repeat the following words of Saint John: “We announce to you that which was from the beginning, which we have heard, which we have seen with our eyes, which we have looked upon, and which our hands have handled, of the Word of life” (1 John 1:1). The litany of the Blessed Virgin at the end of Compline on Saturdays. The mixed religious Order is more perfect than the other Orders, because it is similar to the life of Christ, the Apostles, and bishops. The mixed religious Order is not ordered firstly to preaching and teaching, but, rather, gives priority to contemplation, by principle, and, only afterwards, performs exterior works for the good of others as the overflow of contemplation. Without this principle, much perfection would be lacking in the preaching and teaching of doctrine… Therefore, it is wrong to teach that religious Orders dedicated firstly to preaching and teaching are apostolic. Their exterior activities do not come from the overflow of contemplation, but are, rather, works of the active life. The assiduous study of Sacred Truth. From this general study of the basic principles of Dominican life, an important lesson for the spiritual life can be drawn out for the good of all. Hence, let us make a real effort – at least in our esteem – to give priority to prayer, like Saint Mary Magdalene. If, however, despite all our efforts, we are crushed with work, like Saint Martha, instead of being annoyed, let us humble ourselves at the feet of Jesus, at least for a little while, in order to listen to what He has to say. 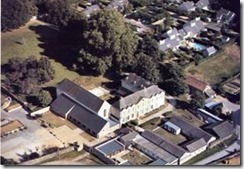 January 9: One of our Fathers assists at part of the Chapter of the Knights of Our Lady at the school of the Hearts of Jesus and Mary in Vendée. February 5-7: Exams for our scholastic Brothers. 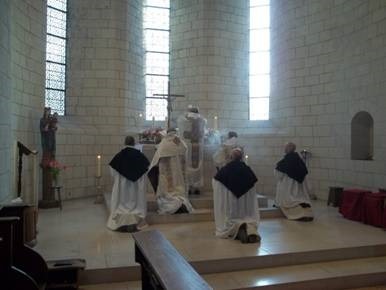 February 12: Father Marie Dominique is at St. Nicolas du Chardonnet Church in Paris for the funeral of Miss Claudine Germinet (Sister Marie Madeleine of Jesus, in the Dominican Third Order). Next June she would have celebrated her twentieth anniversary of profession in the Third Order. February 25: Our boys’ school has their first rugby game against one of the biggest clubs of the area. Our boys’ school rugby team on the pitch. March 1: Rev. Fr. Faure gives a conference to our community on the fight of Archbishop Lefebvre. March 19: At the Monastery of Santa Cruz in Brazil, Father Emmanuel Marie represents the community at the Episcopal consecration of His Excellency Bishop Jean Michel Faure. March 28: Father Marie Dominique and Father Hyacinth Mary speak to several nurses, students in medicine, etc. about the moral problems of the present evolution of medicine. There will be regular meetings to form these young Catholics of the new St. Raphael group. April 4: At the Easter Vigil this year we have the joy of the Baptism of an adult. April 15: A community hike to strengthen the fraternal charity among the Brothers and Fathers during Eastertide. After several years passed without touching his chisel, our Brother sculptor made a Sacred Heart statue in order to get the feel again. 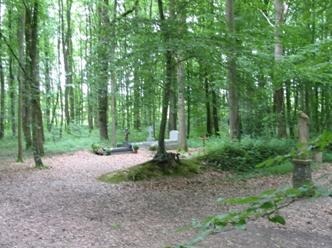 Now he will be able to sculpt the Blessed Virgin destined for the entrance of our cemetery in the woods (to replace the one that fell and broke a few years a go). The statue of Our Lady in the woods that fell and broke and that we must now replace. As for our library, built from 2007-2009, it is not yet filled with all the books. The cataloging and classing of the books has advanced thanks to several friends that come to help regularly. However there are still many books to enter on our lists and many shelves to put up. We confide these projects to your prayers and thank all those who can help us to finish up the library by purchasing the last equipment necessary. -Please take notice of our new US address. The address in Huntington, Indiana is no longer to be used (and please make things out to “Dominicans of Avrille”).